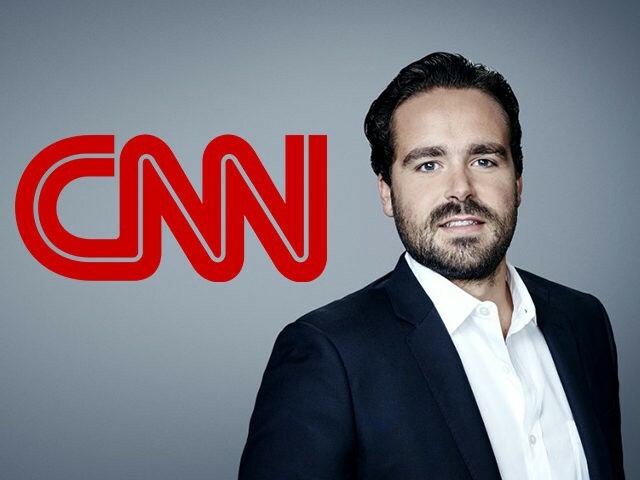 For those of us who believe that the sexual misconduct scandals currently roiling the elite media and Hollywood represent a long overdue reckoning, our greatest fear is that it will all come crashing down once the witch hunters arrive — for these are the people who blow the credibility of all revolutions, these are the French revolutionists blinded self-righteous hate and bigotry who bring about the destruction of innocents. The backlash that tweet unleashed was so furious it got Byers trending on Twitter. Before I get to the part where I defend Byers, let me be honest and admit that while Good John was horrified by this online lynch mob, Bad John enjoyed the hell out of watching Byers hoisted by his own virtue-signaling petard, as his fellow-social justice warriors pounded him into squealing submission. I've deleted my previous tweet. It was poorly worded and didn't properly convey my intended observation. 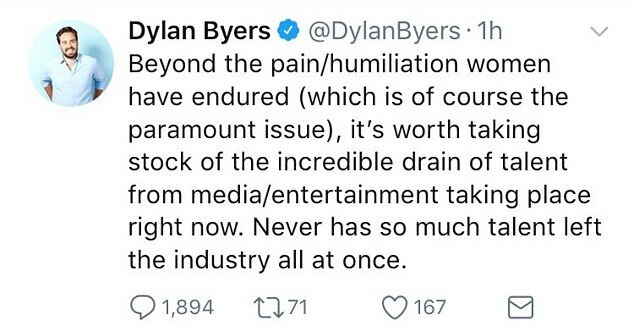 There was not only nothing morally or factually wrong with Byers’ original tweet, but in the wake of 36 hours that oversaw the fall of no less than Charlie Rose, Glenn Thrush, and John Lasseter, his observation that “Never has so much talent left the industry all at once,” is, dare I say, an insightful one. Byers did what good observers do, he took a 30,000 foot flight over events and offered an objective perspective that is difficult to see in an environment where the rest of us can hardly keep up with the whack-a-mole scandals. There is no question the events of the last 60 days are, to say the least, unprecedented. In its hundred year history, Hollywood has never been hit with a scandal even close to the size of this Harveywood fallout. I would further argue that if you add up every Hollywood scandal up till now, that pile would still be dwarfed by the last 60 days. What is happening in the elite media is just as unprecedented, is Rathergate-times-ten. We are living through a time where hugely influential men, unbelievably capable, accomplished, and talented elites, are dropping like flies. What? We cannot say that now? We cannot speak that truth? We are not allowed to admit to their talents, impact, and accomplishments? In all the thousands of hate-tweets directed at Byers, no one bothered to answer to explain why. Like the sniveling fascists they are, they just screamed INSENSITIVE! THE VICTIMS! COMMIE! WITCH! Let me add that I am totally on board with those who see the flip-side. As a lifelong lover of movies, as a 25 year fan of Annabella Sciorra, as someone who over the years oftentimes wondered where she went, especially after knocking it out of the park in The Sopranos and Copland, those lamenting the artistry lost forever due to the unspeakable behavior of terrible men have a fellow traveler in yours truly. But that should not mean that we cannot speak the other truth, that what is happening is taking us into uncharted territory, and that the effects of this talent drain will be long-felt. That can both be true and a good thing. And I believe it is a very good thing. If you want to end this righteous reckoning, the way to do it, the way to leave bad people in power, is to bully, shame, and persecute innocent people who have done nothing wrong; or worse, have only told a truth. And shame again on Dylan Byers for backing down like a punk. He wrote and published a truth. Isn’t that what journalists are supposed to do?